Knowing who are the users is essential to running an effective marketing strategy on your site. From the start of your project, you will need to identify one or more targets and inform you about its characteristics, its interests, etc. You will have to define your ideal client, also called buyer persona. A persona is a fictional representation of your ideal customer, based on market research and / or real data about your existing customers. The buyer persona allows you to validate hypotheses that meet the demand of your future clients. Your personas can be multiple and different depending on the products / services offered by your platform. By defining a persona for your project, you will be able to easily identify groups of target users and offer them adapted content. Acquiring on a marketplace is a long-term process that will require a certain effort. The creation of persona will avoid you to launch a global communication and will favor the personalization of your contents with customized messages, adapted to the expectations of your target. Why create your buyer persona? Deliver the right message to the right person at the right time. Creating persona is important right from the beginning of your project because personas provide structure and context for your project, which will then facilitate the creation of personalized content, allocation of your time and resources of your team. Get to know your ideal client - challenges, goals, demographics, etc. - helps you define a strategy to attract the most valuable visitors, prospects and customers to your marketplace. Do not miss the opportunity to optimize your marketing strategy. How to make your buyer persona? What are his needs, his difficulties, his objectives? How do you meet these needs? Ready to put all this into practice? 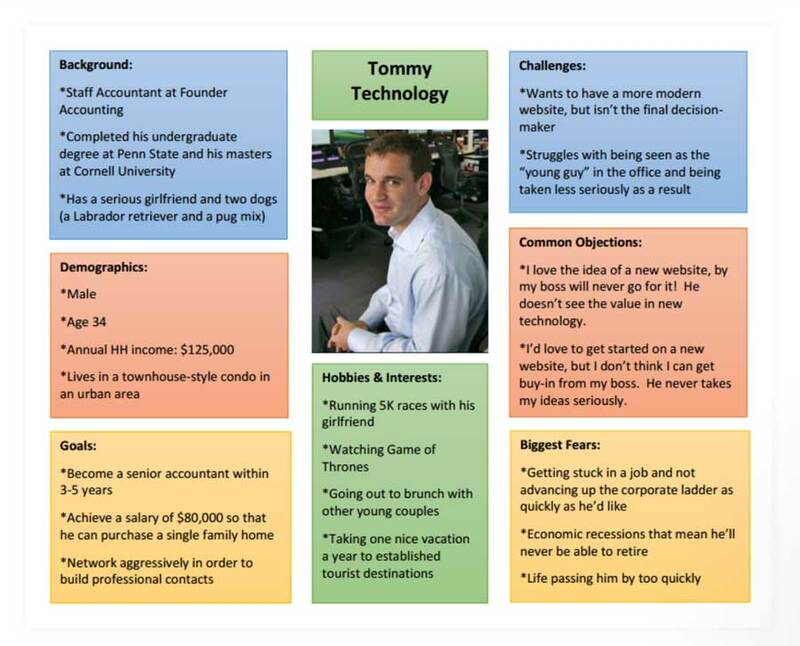 Here are 3 tools that will help you in creating personas. To find this information there are various tools or methods you can use: polls, questionnaires, online database, facebook groups, Google Analytics, analytics tools social networks etc. This question is important because it will help you to define the solution (product or service) capable of meeting this need. Be specific in your research and do not neglect any element.